If you are a plastic surgeon, surely, you have been looking for some brand-new tools for converting your daily visitors into real-time customers & your patient. Aren’t you? At the end of the blog, you would be very well aware of what are these features, their powerful utilizations and how would you commercialise them to attract more conversions? As we all know Whatsapp has a Status feature enabling you to update your status in text form with a limit of 139 characters. Recently, It has launched the new feature “My Status” to beat its competitors. So, What is Special About My Status? The My Status feature enables a plastic surgeon to update promotional codes, flash sales, discount offers, the location of the business and instant access to customers to connect with your business. 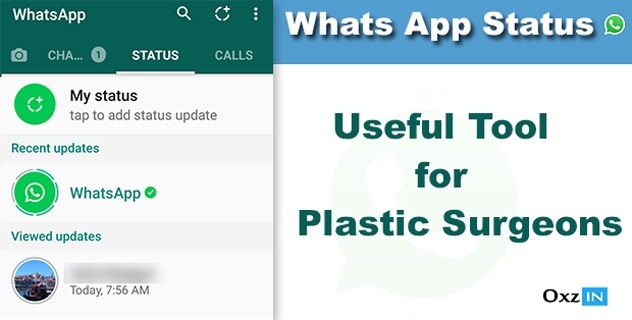 Whatsapp Status and My Status Feature can be powerful tools for plastic surgeons to attract real customers or real patients, but how would it be possible? Truly, a plastic surgeon’s business is only effective when people are extremely very much aware of what services he is providing. For that, he needs to tell people and sell what he has. Here we will discuss the ways how plastic surgeons can make extreme utilization of Whatsapp’s Status Features to tell people what he offers. Visual information impacts the mind of people more significantly. In My Status Introduce your various services using before and after photos and how are you progressing. Photos would actually let people know what you offer. Later, you can track who is viewing status for later approaching. 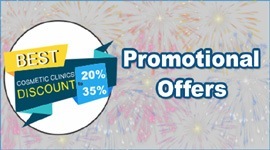 Whatsapp is a very effective way to share your promotional offers. A plastic surgeon can share his offers on Whatsapp status such as free consultation, discounts, coupons, and EMI facilities. Customers find it attractive when get offers and at least come for consultation which can be converted into a complete treatment. Surgeons can make videos & slideshows and upload on my status to show customers how the procedures are done. Animated videos are a great form of engaging content that can be used as my status. The benefit is people become more aware of procedures they are looking for and can approach you later for treatment. Short videos of 30 seconds can be uploaded and for bigger videos, you can provide the video’s link to my status. People read health tips daily to improve their fitness and lifestyle. What could be the best if they find it in their WhatsApp stories? 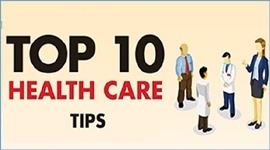 Upload daily or weekly healthcare tips on my status to let customers know you are also well aware of their health. It will create a sense of familiarity between you and customer and he can come for more visits for the information of treatments. Example- Know the reasons for your dark skin and how to prevent it, read the blog. A surgeon can make use of Whatsapp status for uploading treatment procedures, their classification, how they are performed, what could be the results, information of surgeon and many more things. People who are looking for such info, definitely, read them or may contact with the surgeon to know more. Information, offers, discounts, tips can be offered in audio clips by surgeons. An attractive voice can convert the customer to visit the doctor and chances can be increased of conversion. The status features allow the user to categories the viewing capability of status according to the choice of uploader. Like a surgeon’s contacts are of customers who are quoted on different prices and also who are not even converted for treatment yet. Now surgeon wants to offer price only to unconverted contacts what he would do is use “only share” option to mark the contacts. Offer price on my status would only be visible to those contacts. Customizing the status is actually my status privacy option which powers a user to show or hide status to specific people. 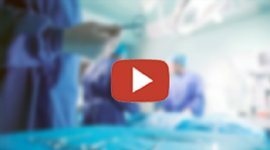 How can a surgeon use this feature effectively to update information to the different type of patient categories? Offers such as free consultation, specific rates of discount and EMI facilities can be shown to all contacts saved in the directory. The quotes provided to international customers can be far different than the domestic ones. These quotes may include unlimited consultation, treatment, hotel stay etc. A surgeon may have such few customers. He can use Only Share With option in my status to show special offers to international clients. Now if you are looking for these kinds of marketing tricks, subscribe to our blogs or want to increase patient & or cosmetic surgery tricks Oxzin infotech is always ready to increase to grow your clinic business by leaps & bounds. 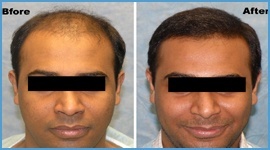 Contact Us : for Hair transplant leads, cosmetic surgery leads ! !